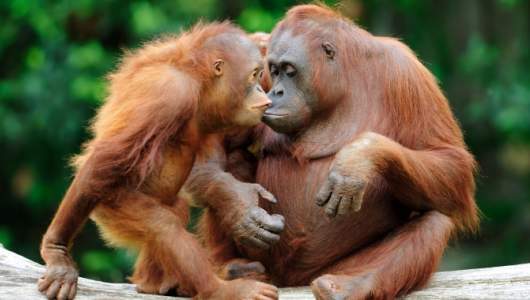 Orangutans have been found to use tools in a number of ways. Orangutans use branches to forage for food, and leaves to modify their calls. They have also been observed to use sticks to measure the depth of water. Here’s a video to learn more about the intelligence of these beautiful creatures! Orangutans in Sumatra use sticks to acquire seeds from a certain fruit which has a lining of stinging hairs. On the island of Kaja a male Orangutan was observed using a pole to acquire fish from a net after observing local humans spear fishing.